Yay! How exciting! I was nominated for a Liebster Award. Imagine my surprise! 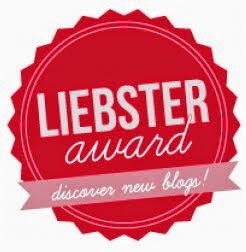 The Liebster Award is given to small up and coming blogs and it is also a way to support each other by spreading the word. Thanks Laura!! Provide 11 random factoids about yourself. Create 11 new questions for you nominees to answer. Sounds fun, huh? 1. What made you decide to start blogging? It's funny. I just have always had this drive, pull, calling to blog. 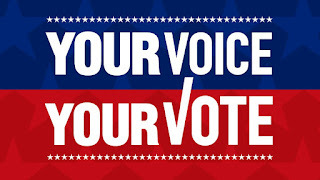 I could not quiet that voice telling me to start and so I did! 2. How did you chose your blog name? This was really easy. You can read the full story under "about me", but basically, when LT and I started to date and things would get a little rocky whether in our relationship or our jobs/family/life, or we would take an adventure, he would always comfort me and say "We got this, babe." And you know what, we always have! 3. Where do you see your blog in 5 years? Wow, 5 years. Still blogging away, telling my stories and helping others climb "off the shelf" because together, support is given, things get done and life goes on. We just need to go on more positively. Really, we got this! 4. Waffles or Pancakes? Favorite topping? Between the two? Pancakes with butter and maple syrup. I am so boring! I do love a stuffed french toast though!! 5. What's at the top of your bucket list? Oh gosh. 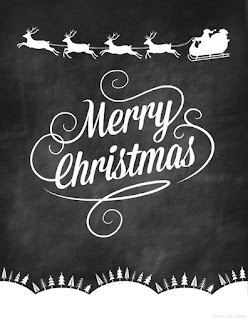 A couple of things on my list could get done at the same time… maybe... possibly. Go to Alaska and see Kodiak Island and see the humungous grizzly bears and the Northern Lights. It's a twofer! 6. What is your guilty pleasure? Pecan cluster Blizzards! There are hardly any Dairy Queens around me so this really is a guilty pleasure. I have to travel a ways to get one if I am just dying for it. I usually succumb once a year though, in the summer! 7. Describe your dream vacation. My sister and I have been to Italy a couple of times and this has always been our dream trip (sorry LT): To spend a couple weeks/month in Tuscany, Italy living in a country house and just soaking up the culture. We would paint, cook, explore, shop, travel, and visit museums. Since this is my "dream" vacation I will already be fluent in Italian! It would make it so much easier. 8. What is one thing you are surprisingly good at? Reading the weather! I used to be able to read the clouds and tell what was going to happen. Came in real handy in Kansas during tornado season! I don't get as much practice in Texas, but still love to look at the clouds! 9. What is one thing you are surprisingly bad at? Folding sheets. I can NEVER get the fitted sheet to fold right. It ends up looking like I wadded it up! 11. What do you love best about blogging? Connecting with people! I just love the groups I have joined. They are so supportive, even though we have never meet. Plus I love when people comment and I see how small a world it really is and I am not the only one at there with that thought, or experience. It makes me feel connected with life. I love to form bonds!! But not in that freaky stalkerish way. LOL! I love teaching at risk high school students! I love music especially 80s hair bands. If you pulled beside me in a car, I would be banging my head to a song, and singing out loud! I own a gazillion notebooks to write notes and such. You can find them all over the house. Thankfully I don't keep a diary and leave it for LT read it! On my first date with LT, I rode with him to a bar to play darts. This is big! I made it a point to meet a date somewhere and never ever get in the car with them! WTH! It must have been love at first sight. I buy makeup when I am feeling frumpy or fat because with make up…one size fits all! I have an irrational fear freakout over grasshoppers. Who has influenced you most and why? Where have you always wanted to travel? What is the best advice you ever had? Beach or mountains and why? What actor/actress would you want to play you in the movie about your life? What is your most positive attribute? Where is your most favorite place to visit? I can't wait to read the answers! !